Workplace bullying should move up the agenda of employers who could prioritise creating “a culture of kindness”, according to New Zealand’s largest health and safety professional association. Indeed, New Zealand has the second-worst rate of bullying in the developed world, with one in five workers affected (Auckland, Waikato, Massey, London Universities research 2016). Greg Dearsly, national manager at New Zealand Institute of Safety Management (NZISM), said all employers must be more aware of how bullying affects mental health, productivity and culture. “Workplace bullying is growing into a significant risk and is joining the many other issues health and safety professionals advise on every day,” he said. Dearsly added that turning a blind eye to people who are creating unhealthy work environments is not an option. “Unfortunately, in many situations the people involved are also managers, they often don’t understand their behaviour is bullying and employees feel trapped, simply because they need the work and therefore stay silent,” said Dearsly. According to NZISM, workplace bullying can come in the form of verbal threats, sexual harassment, cyber bullying, discrimination, and many more forms of potential abuse. However, it can be hard to define and identify when it is occurring but nevertheless employers need to become more aware of its potential and take action, because victims may not speak out. This silent reaction often results in higher stress levels, and according to the Harvard Business Review, 60% to 80% of workplace accidents are attributed to stress. 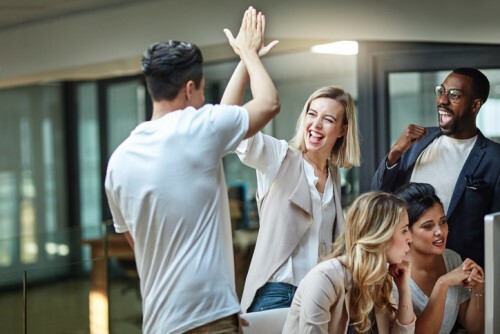 According to an economic study at the University of Warwick in 2015, workplace happiness leads to a 12% spike in productivity, while organisations with supportive environments not only boost employee morale, but are also more profitable. Dearsly added that a job is such an important part of life and “no-one goes to work to be treated badly”. “Our members are seeing more of it all the time, with managing the effects of mental health becoming a bigger part of their everyday work,” he said.